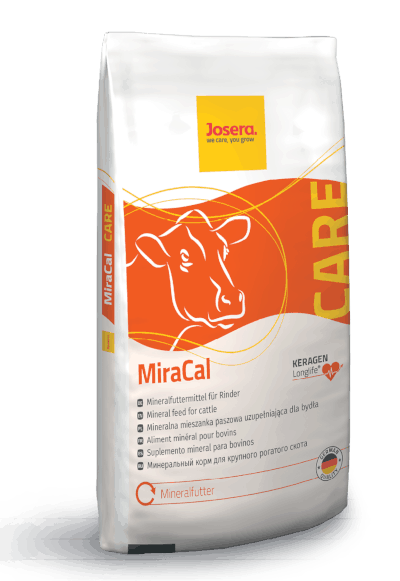 JOSERA MiraCal KeragenLonglife® is a mineral feed of especially high quality and performance for operations with very high standards for animal health and just as high operating targets. 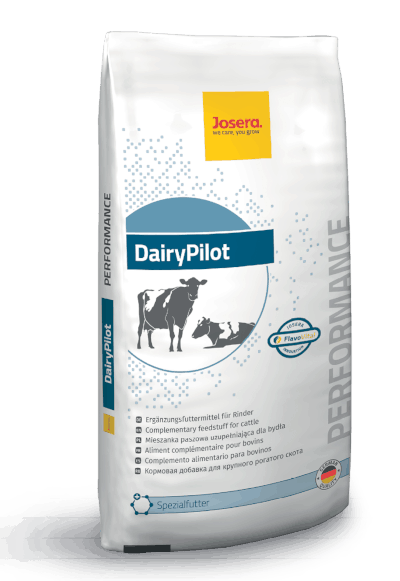 With a phosphorus content of 0 % JOSERA MiraCal KeragenLonglife® fills in the gaps in fodder composed of phosphorus-rich elements, thus upholding the JOSERA All-in-one concept. The high-quality active agent package KeragenLonglife® supports the udder and claw health of your animals and contributes to a good fertility and more lactations. The resulting increase of life performance means a plus for more saleable milk and thereby better profits per cow. As All-in-one product JOSERA MiraCal KeragenLonglife® contains mineral feed, lime stone and sodium bicarbonate. This enables an easy and needs-based supply of the animals in farm with a very high herd performance. JOSERA MiraCal KeragenLonglife® is suitable for rations with high amounts of phosphor rich components (intensive used grassland, different kinds of brewer grains, soya-, rapemeal). As a performance feed, we recommend an in-house mix with 3 % JOSERA Kraft-Mix. 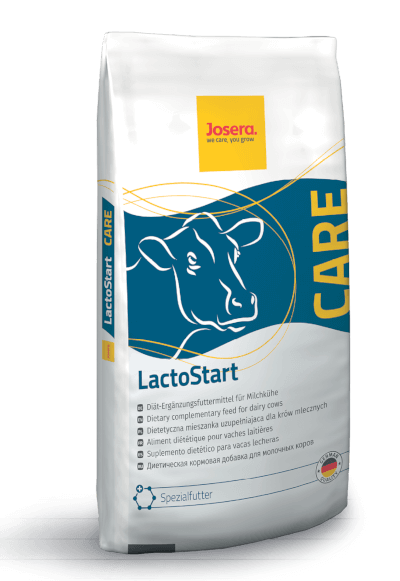 JOSERA LactoStart is our ideal companion to effectively protect your dairy cows against ketosis and provide them with optimum nutrition. 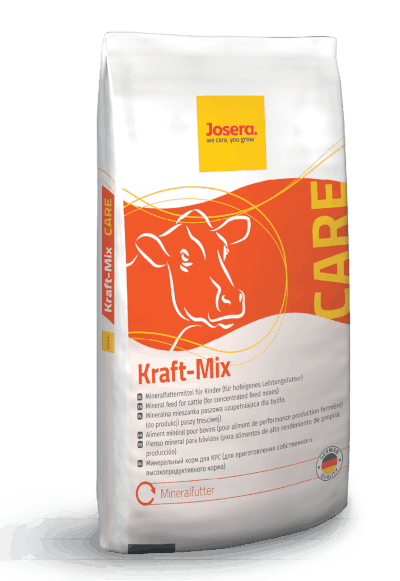 JOSERA Kraft-Mix is our specialist for your in-house performance feed, providing a good supply of minerals and active ingredients.